We made a return visit to the trattoria after a long hiatus – taking a breather from eating here way too often – and pacing ourselves (for once) over the meal. The pastas here are just so delicious one cannot help but devour all of it way too quickly. 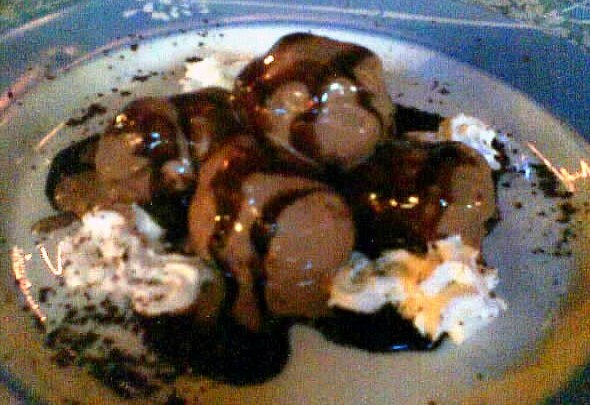 This visit, I made sure I left room for dessert and helped myself to their profiteroles. Though a far cry from what I am used to in Toulouse – it was delicious nevertheless. the rib eye steak is value for money. Best I've tasted for the price too. Really generous piece and done to perfection. Pizza was really good too ! crispy and juicy. Ate too much that night - couldn't help myself as it tasted so good.